Professor Karen Tongson joined the USC faculty in fall 2005 after receiving her Ph.D. in English from the University of California, Berkeley in 2003. Before coming to USC, Tongson held a University of California President's Postdoctoral Fellowship in Literature at UC San Diego, and a UC Humanities Research Institute (UCHRI) Postdoctoral Fellowship at UC Irvine. She is the author of Relocations: Queer Suburban Imaginaries (NYU Press, 2011). Her scholarship, criticism, and journalism have appeared in numerous national and international publications. She is co-editor of the Postmillennial Pop book series at NYU Press, and has a forthcoming book with ForEdge Press on Why Karen Carpenter Matters. (Carpenter is Tongson’s namesake). She also has two other books in progress: Normal Television: Critical Essays on Queer Spectatorship after the "New Normalcy," and Empty Orchestra: Karaoke in Our Time. 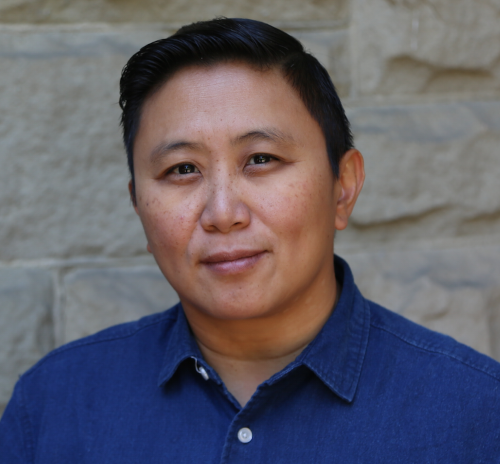 Tongson teaches courses, and is invited to lecture nationally and internationally on race, gender and sexuality studies, popular culture (particularly on pop music and TV); on literature and critical theory; on karaoke scenes and technologies; on Los Angeles, the Southern California region and the Pacific Rim, and on contemporary food cultures. Personal: Tongson is married to scholar and TV critic, Sarah Kessler. They have two cats and live in Los Angeles.